Hurry - Very Limited Quantity! Buy the deal, then LOGIN to your deals account & PRINT the Voucher. Mention Voucher when booking your appointment. Bring your Voucher with you on day of your appointment. Valid only for new appointments and customers. 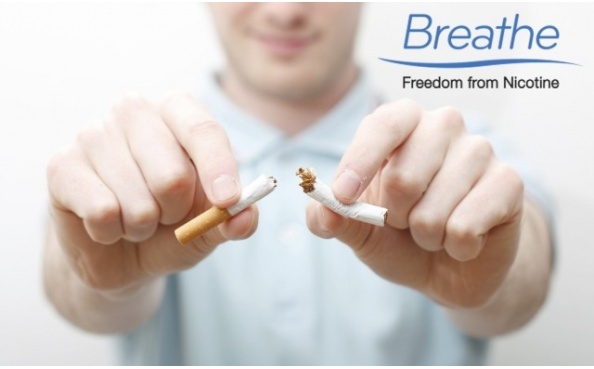 At Breathe – Freedom from Nicotine, we have helped more than 7,000 customers. Easy behavior modification techniques help you break the habit…and quit for good! NO drugs, and none of their side effects! Your initial appointment will take about an hour. We are so confident in the program and so committed to helping our clients succeed that, if needed, follow-up sessions are available within 3 months of your initial session at no additional cost. Sara D - Hudson, WI "Simply amazing! I was really nervous about quitting but this treatment was better than anything I could have imagined." Dan E - Monticello, MN "I was a heavy smoker and my wife didn’t think I would be able to quit. But I did it and have been smoke free for 5 years now. If I can do it with the help of Breathe Therapy, anyone can!" Brian W - Northfield, Mn "I smoked for 35 years and it has been 3 years since I quit smoking with Breathe and it’s the only true positive thing I have ever tried, and I tried them all to quit. Chantix, gum, the patch, nasal spray, ear magnets, counseling did nothing for me. If you truly want to quit, this is the easiest sure cure fire way to do it, no joke, it works. I feel so good, everyone tells me how good I look, it is worth every penny and more. 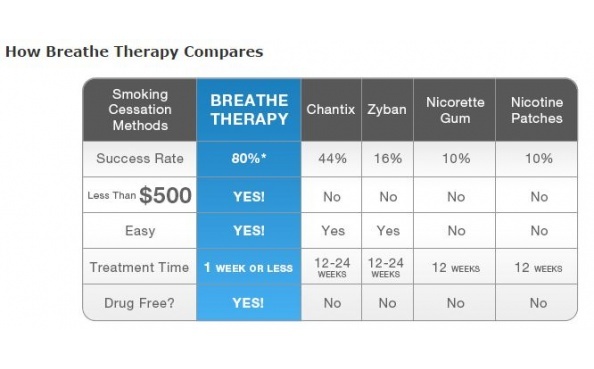 I would have died being a smokier if it weren’t for Breathe Therapy. Thank you so much!" 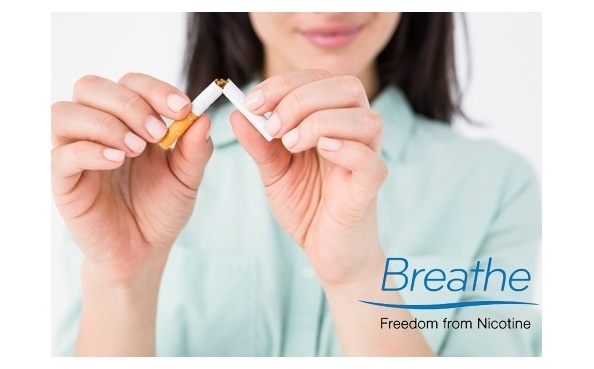 Kathy W - Apple Valley, MN "Just a quick note to say that I’ve been smoke free for four years thanks to Breathe - after 50 years of two packs a day. I’m still recommending you!" Benita H - Stewart, MN "This was the easiest way to quit smoking. I had NO weight gain; I was not crabby at all. When I left the office that was it. Cravings were all gone. Thank You Breathe Therapy. If you want to quit this is the way. Best money I ever spent."